Marc VDS rider Franco Morbidelli is gearing himself up for the first chance he has of raising the 2017 Moto2 crown this weekend at the Malaysian Grand Prix, with the Italian going into the weekend at the Sepang International Circuit 29 points ahead of only remaining title rival (and his 2018 teammate) Thomas Luthi. 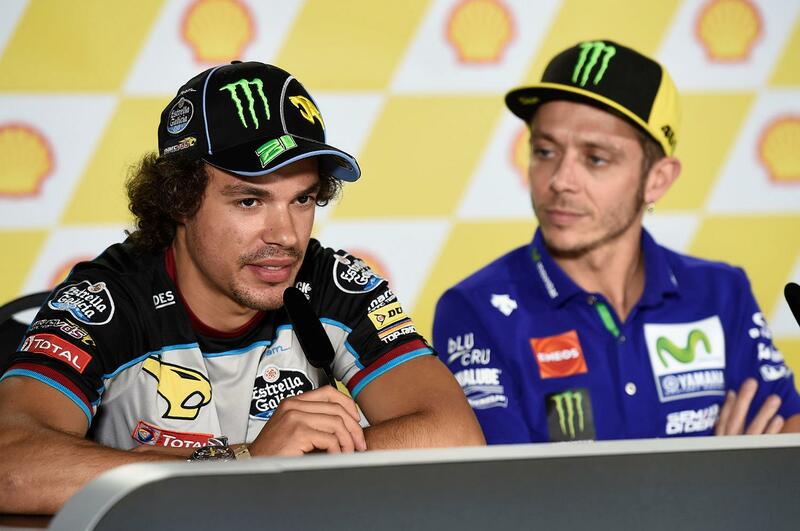 Yet despite the pressure on him to take the championship after a stellar if blighted season, Morbidelli is retaining his traditional cool going into the weekend. “The approach will be the same. My aim again for this weekend is to push at 100% and make a good job in all the practices and not to pay attention too much to the pressure that being in a position to win the championship this weekend brings. But while he might have remained in control of the championship race for much of the year, he admitted ahead of this weekend’s race that the two flyaway races in the last two weeks has ramped up the pressure on both he and rival Luthi. “In Japan, both Tom and me were under pressure. I do feel it and I'm sure he also feels it. The race was strange, because Tom started from 12th and I started 15th, which is not a normal starting position for either of us but the pressure can trick you sometimes. It was a hard moment for me, but in the end I managed to come out of it pretty well, recovering a lot of positions to finish eighth and, more importantly, in front of Tom.